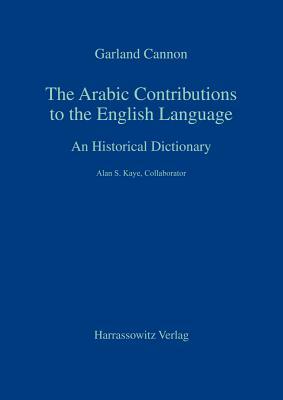 The largest and most up-to-date collection of English words and multiword units borrowed from the Arabic, directly or indirectly, totalling 2338 items. All major dictionaries in English were surveyed, including new-word collections, and college dictionaries.Each dictionary entry gives the fi rst recorded date of the loan in English, the semantic field, variant forms, etymology, the English definitions, derivative forms, and sometimes grammatical comment. The major sources of each entry are noted, along with the approximate degree of assimilation in English. A substantial part of the book is devoted to nontechnical analytical essays, which treat the forty-six semantic areas so as to embrace all disciplines and throw light on the individual subject. Other essays treat the phonological and linguistic aspects of the data, so as to show how languages in contact interact and ultimately influence each other's culture. This is a wide-ranging, innovational book that advances the study of comprehensive borrowing within languages over the centuries.